I had a professor who once described sound academic writing as learning to “articulate the obvious.” This in itself isn’t bad advice, and I occasionally pass it along to writing students who seem convinced that scholarly writing of any worth must follow “the three C’s” of turgid writing: it should be convoluted, confusing, and contradictory. 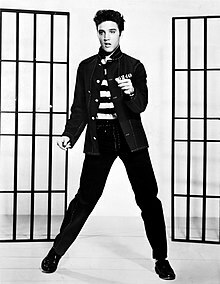 Joel Williamson’s new biography of the King, Elvis Presley: A Southern Life, avoids turgidity and, if the excerpt recently published by Salon is any indication, it follows my old professor’s dictum to a degree that readers knowledgeable about the music legend (or about the history of rock and its significant figures) may find downright frustrating. The history and biography of rock’s first superstar is so thoroughly and minutely documented that even a scholarly work (which, since this is published by Oxford Press, I suspect it is) would have a difficult time uncovering new information. Small victories would be what a scholar (and rightly so – one of the most useful goals of scholarship is completeness of knowledge of a subject, so even minutiae would be useful) seek. As a sometime – well occasional – well, when I’m made to be – scholarly writer myself, I offer Professor Williamson all due credit for tackling such a daunting subject. But damn, tell us something we didn’t know. In the years immediately after Presley’s untimely death at 42, much that made Elvis fans, rock music fans, and the general public sad, queasy, and angry was the information that emerged concerning Presley’s drug addled and self-destructive lifestyle (I have as part of my cool post card collection the one with the picture of “E” in one of those ridiculous outfits he favored during the 70’s – big collar, bigger belt buckle – shaking hands with Satan Nixon) in the last decade of his life. The role of his dealer physician Nichopolous was recounted ad nauseum in the press. The role of Baptist Memorial Hospital – and its doctors, especially Dr. Jerry Francisco – in covering their own asses was also thoroughly revealed. But this is the information that Dr. Williamson gives us as the excerpt of his – what was it Amazon, that bastion of honesty called it? Ah, yes: “vivid, gripping biography, set against the rich backdrop of Southern society–indeed, American society–in the second half of the twentieth century” work that he seems to suggest is new and shocking information. Horse hockey. One has to ask the obvious question. What did Dr. Williamson and Oxford Press know, and when did they know it? Evidently not what pretty much everyone else knew and not until recently. See, here’s the deal. Dr. Williamson is a fine historian, and I’m sure this is a meticulously researched bio of Elvis. So from a scholarly standpoint, I feel confident in saying that it may meet that amorphous goal so prized in scholarly biography of being “definitive.” But as for giving us new insight into what made Elvis “authentic” (which is what matters to serious thinkers and writers about rock), I’m dubious, if this excerpt is any indication. Like most academics, Professor Williamson may be that stranger that John Sebastian was trying to tell about rock and roll…. I’ll probably read this book and write about it at some point down the road. 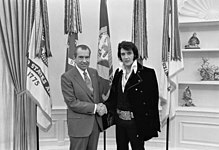 You’d be better served to go listen to some Elvis, especially that early genius work, and record what it does to you.